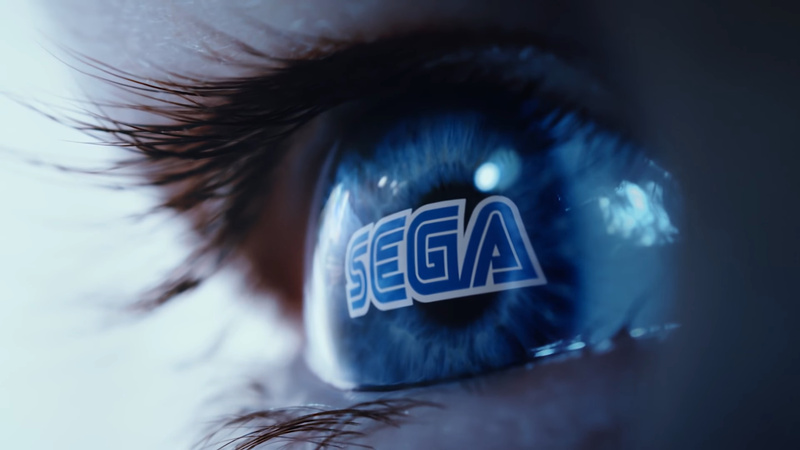 Sega Sammy's integrated report for 2018 has revealed one of the Japan-based company's "Road to 2020" objectives is to simultaneously release games worldwide. The report touches on the localisation of Japanese games and explains how better quality translations result in a more positive reception from players worldwide. How do you feel about waiting for certain Japanese video games to be localised? Are you glad to hear Sega is planning to improve this area of its business? What older Sega IP would you like to see make a return? Tell us below. Which probably means they have no plans for any new Phantasy Star and will give us more Sonic. Can't argue with simultaneous releases. I like the changes you make in the articles. Jet Set Radio and Future for Switch please and Skies of Arcadia remaster/sequel. If the persona games get ported to switch I have no reason to keep my Vita anymore. Come on atluSega! Super Monkey Ball 1 & 2 for the Switch please Mr Sega sir. Sega has been great lately. KEEP EM COMIN! From SEGA, i just ONLY want MaiMai Arcade to be on Nintendo Switch. So letting third party studios like Dotemu and Lizardcube make a sequel to Streets Of Rage and a remake of Wonder Boy 3 is a part of that plan? If they make another good Shinboi game in the style of Shinobi III: Return Of The Ninja Master then Sega will be back on my list of the top 10 video game companies. Hope to see them take a new swipe at a 3D Sonic game actually displayed in 3D via a head mounted Swiitch and controlled with motion controls for ultra realism. If they just use some blast processing how could it go wrong? SEGA has no idea what to do anymore. Thankful they gave us some good games in the 90's and sonic adventure/battle. "The report explains how prolonged localisation of Japanese games can result in brisk sales overseas..."
I don't care if the Vita or Wii U are "dead" as long they still have their great games. All systems "die" someday but it's about the great games on them. Sonic is not an idle IP. I literally just read the chapter in "Console Wars" where Sega did the first worldwide launch of a game, Sonic 2. Weird. ...thats just off the top of my head, the list could go on, dang, why haven't they done this yet? There is potential for so many awesome games! I approve. I also want to see Sega thrive as a 3rd party studio. They drag their own good name through the mud too often with bad 3D Sonic games. I think they could either keep bankrolling smaller studios that know what they're doing like with Bayonetta 1, Sonic Mania, Wonderboy Dragon's Trap, and Streets of Rage 4 or if possible buy those studios up or hire on their best personnel to work directly for Sega. On Switch I currently own Bayonetta 1, (and 2, but yaknow Nintendo money) Sonic Mania, Puyo Puyo Tetris, and Valkyria Chronicles 4. Looking forward to Valkyria Chronicles 1, Streets of Rage 4, and the Genesis Collection. Hope Shenmue, Nights, Panzer Dragoon, Super Hangon, and the Sega F-Zero get ported over to Switch one day too. Give us Yakuza on Switch ya goobers. I want to beat up gangsters on the go. More serious post, Sega has had some great games in regards to the last few years, but not the commercial success. Hope we’ll see more of them. Sega if your going to release the New Sakura Wars game please localize the original four games along with port the 5th entry for the Switch and other gaming platforms. Fun Fact: What makes the original Sega Saturn release of first Sakura Wars game special to me is because originally released on September 27, 1996. The mouth and day is my birthday! @Spectra i wouldn't be surprised, and i want virtua tennis to come back! that is one series that needs to be revived from the dead! more support for the PSVR with time crisis and house of the dead, it's not hard sega, wake up! @Spectra I don't think so. Even niche games like Yakuza or Valkyria Chronicles got Special Editions and Steel Books recently and the new Fist of the North Star game came with stickers and a reversible cover on PS4. They are pretty much a role model what retail releases is concerned in Europe and the complete opposite of how Capcom treats the european continent. @GrailUK I reckon they have sold well. Sonic was as high as 3rd on the UK Eshop charts and at least top 10 on US. I noticed Thunderforce IV charted as well on both Eshop's and was in the top 10 on the Japanese charts. Hey Sega, you give me a new skies of Arcadia and a new chu chu Rocket, and I will give you money. Also, Nights. Cause why not. Would love a new Golden Axe, Wonder Boy or Shining (1st-person RPG) game. A simultaneous release can do wonders for the Megami Tensei series, especially Persona. Here’s hoping we don’t have to wait 5 years after Japan gets the eventual release of Shin Megami Tensei V.
Here is another game that deserve to be re-release all three scenarios of Shining Force III along with the Premium Disc bonus features. @Xaessya funny seeing as they've revived numerous IPs lately but nice try. All I want is a new Eternal Champions. It's great to see the work and importance of localization being recognized. I'd like a new OutRun. It doesn't need to have Ferraris. Reviving old IP's? It's almost as if SEGA only just noticed they were much more popular in the 90's. Outun , Sega rally, monkeyball 1 and 2 ....just in the hope that someone from Sega reads this. @Rayquaza2510 what is a wii u? I'm all down for a New Sakura Wars but a Atlus Shinning game would be amazing. Don't forget fan are still going crazy for a HD Skies of Arcadia. @GrailUK That would be cool, although I would really like a new SMB game. I'm very familiar with SMB1&2 courses so I'd like to try my hand at new stages. Also, I'm crossing my fingers for a level creator. SMB Switch with a level creator would be the best Sega game in existence. Even if the main game is naff, the community would make it the best. @TheUltimateWah A miserable little pile of poorly-selling videogame consoles. It doesn't matter what you think! Digimon Survive is coming to Nintendo Switch to the West next year and I'm going to play it. No one can stop me. Just words, SEGA. I’m one of your biggest fans since 1990 when I first played Alex Kidd. I would still say the Mega Drive was a better console than the SNES. But these are empty promises. Where is that HD update of Skies of Arcadia that was rumoured to be finished then scrapped? Where is JSRF or Panzer Dragoon Orta on Xbox Classics? Why have you not ported Super Monkey Ball 2 to the Switch? You’re the ones supposed to be showing Nintendo up for refusing to make simple decisions that will net them a ton of cash. If you can go to the effort of relicencing the music for JSR, you can do all of the above. @RadioHedgeFund Panzer Dragoon Orta is backwards compatible on Xbox One if that's what you mean by "Xbox Classics". JSRF would have to get past several copyright issues to go up on Xbox One because of it's amazing soundtrack. PLEASE, PLEASE, PLEASE GET BACK TO SKIES OF ARCADIA. If Sega is serious about reviving "idle" IP and having simultaneous worldwide releases, this could be their single biggest renaissance in acclaim and relevance. Of course it all hinges on the fact that the games are good. Honestly, I miss the days when we had commercials screaming Sega at us. Sega, could have been Sony at this point. too many failure. Whatever the case I'll still buy Sega stuff. Worldwide simultaneous release dates would be good. Just port Saturn and Dreamcast games to Switch, think about new games after people can actually play the originals. This is no way associated with the topic or the article, but I just realized something. AGES is SEGA backward. o_O Quick, someone, is there any significance to the term, Cinos? Sega says this every other year. All it leads to is more Sonic, Project Diva, and Yakuza games. I predict within four years Sega will have exhausted the Yakuza ip and it will end up rotting away in the Sega vault. Not a single mention for Phantasy Star? Shame on all of you! How long have we been waiting for PSO2? @ecco6t9 Ah the Sega vault where the zombified remains of Super Monkey Ball, Alex Kidd, Jet Set Radio, Space Harrier and Outrun will rip Yakuza limb from limb and feast on the brains. It might be because it was primarily (maybe exclusively?) an arcade game, but why does nobody talk about crazy taxi anymore? They'd have to add some new game modes for consoles, but that game was awesome. @CupidStunt I've played the DS, mobile, and GBA versions, which had very imperfect controls and they were still good. Also, check out Marble It Up. They nailed the controls and that's a very similar game to SMB. Great Scott! A time traveller from the 90s! "Idle"? Can I dream with Shinobi (3D, Ninja Gaiden style) or Phantasy Star (singleplayer)? @Pete41608 Look if you seriously think that Nintendo Life shouldn't be allowed to post Sega related news posts on the Nintendo Life website than you can just leave Mario fanboy! @ecco6t9 Exactly. Feels like I read this same article every freaking year. Sega, come talk to me when you actually have a new game from an old IP to announce. How about some new Phantasy Star online? Or I dunno...port over Phantasy Star Online 2!!!! And port Nova to Switch while you're at it! Can we have a Fantasy Zone version of Kid Icarus: Uprising? Maybe Grand Theft Bonanza Bros.? Loving all the 16 bit Sega classic games but Sega really needs to start bringing over or remastering some of their Saturn and Dreamcast classics. Would still love to see an HD remaster of Fighters Megamix, Panzer Dragoon 1, 2, and Saga along with Clockwork Knight 1 & 2, Shining The Holy Ark and Burning Rangers. Where is Astal? For the Dreamcast, Phantasy Star Online 1 and 2 are a must along with Skies of Arcadia and the Dreamcast version of Daytona USA (with improved controls). Seriously what have the employees at Sega been doing all this time sitting on these great IPs and not even porting them to the current systems let alone making new sequels. New Virtua Fighter games... And Worldwide Soccer would be great too. Idle IP? Does Phantasy Star count? I'm probably in the minority here, but i always thought Ristar deserved more love than it got back in the day. Would love to see a modernized 2.5D outing like what capcom did with Megaman 11, or heck, give us a full fledged AAA 3D platformer to rival the likes of Mario's outings. I'm still waiting for PSO2 to come to the west. I'm sure they didn't cancelled it since they haven't said anything for years. Yea... I missed PSO series and... I got banned in PSO2 for saying "What's up guys?" I miss the old SEGA. Would love to see Yakuza and PSO on the Switch. And yeah, Vita is dead. Vita felt dead three years ago, in terms of the complete lack of support and new game development. Don’t get me wrong, I loved my Vita and wish it hadn’t died. But it is what is. The only IP revivals I want to see from Sega is Shining Force. Sega could totally slaughter Disgaea if they wanted to. The promotion system was so ahead of it's time back then. That and the game really had a good sense of progression without being overwhelming. I'll take a western release of PSO as well but I double doubt we'll ever get that. On the subject of Sakura Wars, would a collection with the original games released worldwide be too much to ask? I'm more interested in this road to 2020 objective of theirs. Once we get to that point, then what for them? Is Sega planning to reenter the hardware business in a manner of speaking...? Just give me the Sega Classics!! So the TL;DR is "Gotta go fast!"? Haven't seen you since 2001. How's life been for ya since your makers learned that you just weren't good enough to compete with Nintendo & Playstation? Where did I state that NL can't or shouldn't post Sega articles? Aside from the good news of simultaneous worldwide releases becoming more and more commonplace, the words "reviving dormant IPs" are usually a good promise that, however, sadly tends to be kept as much as the PR talk you'd get in a political campaign. @Pete41608 what you got against one of the greatest game companies of all time? Sega was ahead of its time, thats the mistake it made. It was too good for us back then. If you consider Sega of Japan & Sega of America not being able to come together to work on a single product "ahead of its time", then sure they were ahead of their time. If they could have done that then it is quite possible you would still have that choice of buying a modern Sega console. Sega screwed Sega, their controller sucked. 3 buttons and you had to press two simultaneously at times, MK was terrible with the 3 button setup. I would like to state that I don't hate them nor did I ever wish for them to stop making consoles, but to me Nintendo had great controllers, great hardware and the greatest games with the greatest gameplay. I also won't let Nintendo off the hook with all the trash they've spewed for the last decade+ starting with the Wii. For many years, it was nearly embarrassing to be a Ninty fan due to all their casualizing and lack of content for some games that just didn't have enough. In fact, it still is partially embarrassing, they haven't climbed their way out of the bottom completely, not yet.